Home | Poverty, Agony, Distress & Want! 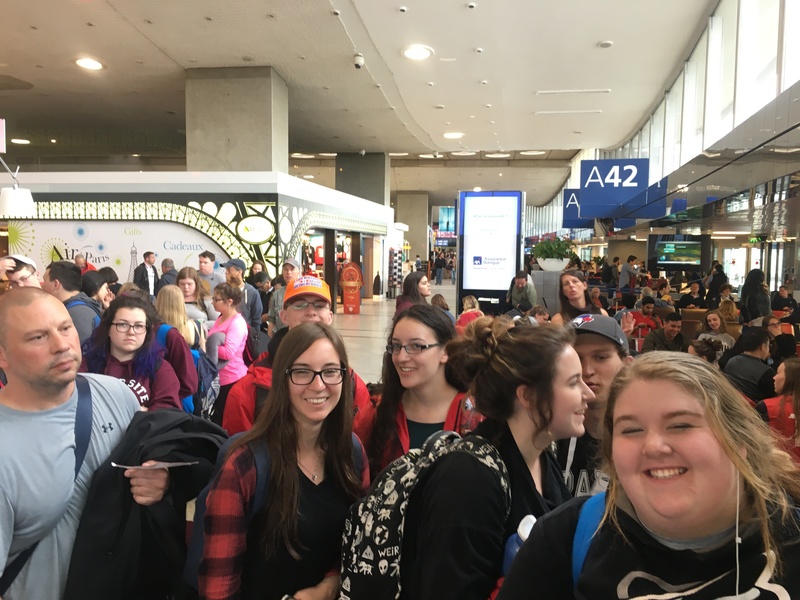 It’s been roughly a week and a half since we returned from Europe…I can’t believe it’s been that long! Many of us have been in this position before; experience a remarkable journey and then struggle a short time later to recall everything that happened. Thankfully there are many things to jog our memories. This blog is one example. It wasn’t always easy to chronicle the events of each day, especially when you’re exhausted and sleepy, but I’m glad I did it. 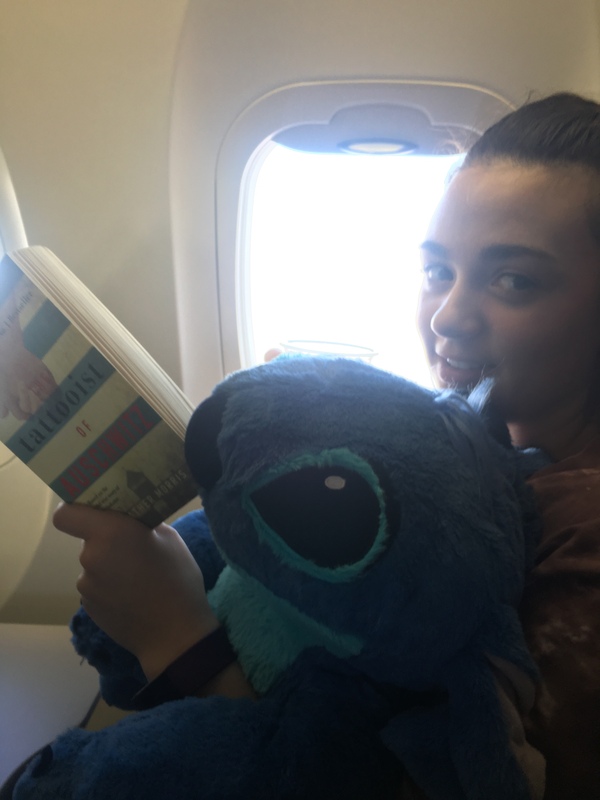 I know the parents appreciated reading about our adventures though, which made it worthwhile (not to mention the fact that I can look back too). Also, the 1600 photos and nearly 40gb of video I shot will help us to remember. From a personal point of view, I had an amazing time. Even though I had visited some of the places we saw before, it was still exciting nonetheless. I think I was also feeding off of the excitement of the kids. My exuberance probably stems from my passion for history and my desire to learn more about the past, and I definitely became more enlightened on this journey. It was a great honour for me to lead and be part of this experience. 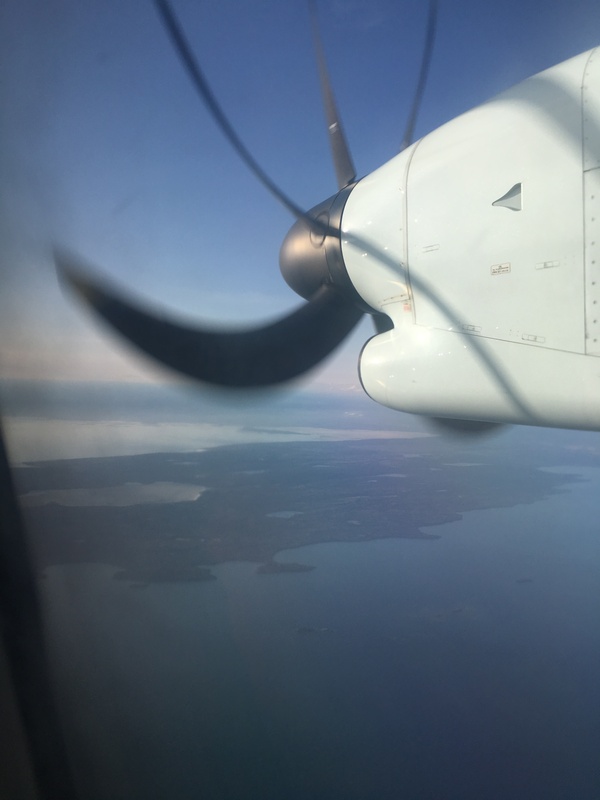 As I mentioned in previous blogs, things were tempered by the solemnity of parts of the trip. I’ve spent the last few evenings posting photos to Facebook and it really brought me back to those walks through the cemeteries. I wrote a lot about the flood of emotions I experienced on those visits…the mix of pride and immense sadness. It really helps one to understand the sacrifice that was made by this generation of Canadians. Reading the inscriptions on the headstones gives you an insight into the personal pain and anguish felt by the families of those who fell. 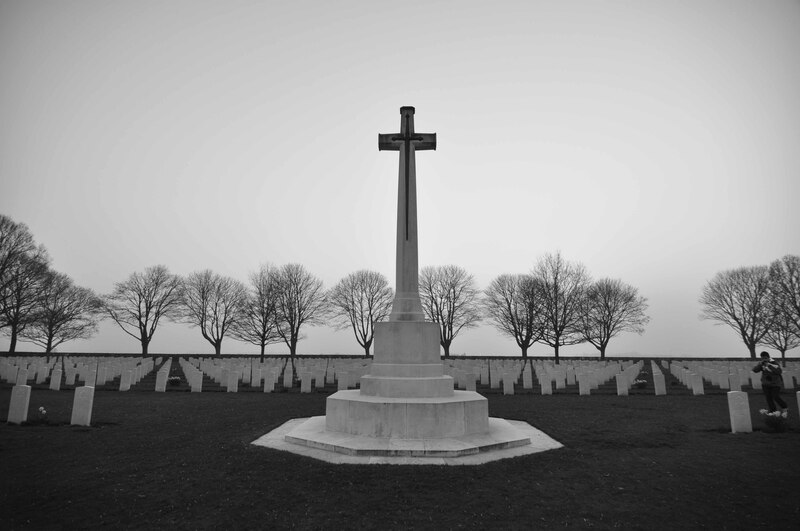 Cross of Sacrifice, Bretteville-sur-Laize Canadian war Cemetery, march 2014. 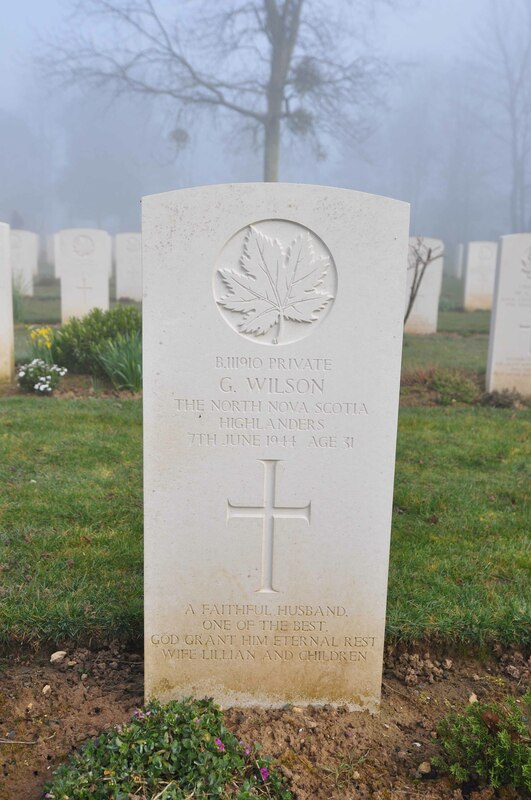 Grave of Private Wilson, Beny-sur-Mer, March 2014. 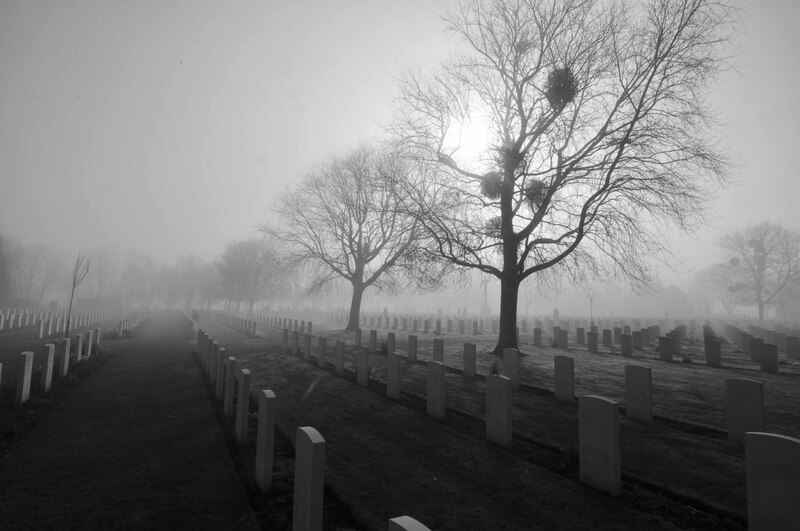 Beny-sur-Mer Canadian War Cemetery, March 2014. 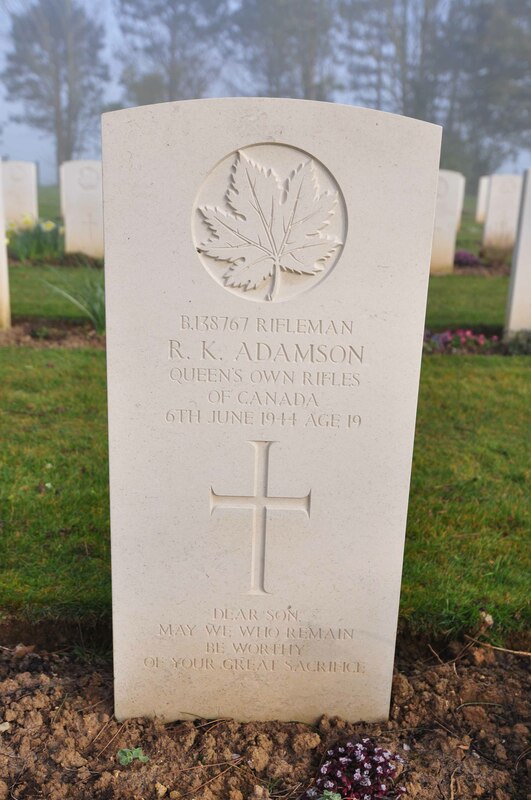 Grave of Rifleman Adamson, Beny-sur-Mer, March 2014. 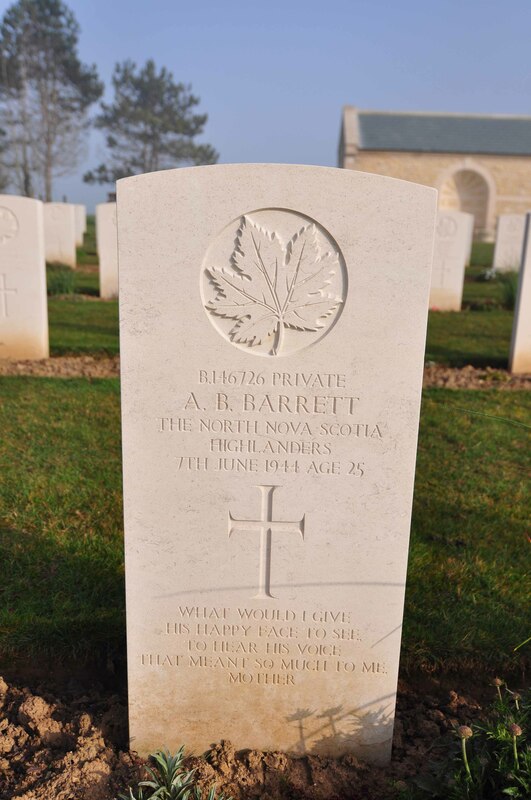 Grave of Private Barrett, Beny-sur-Mer, March 2014. If I have any regrets the only one would be the fact that I had to leave the boys behind for 11 days. It certainly does not compare to the sacrifice made by the parents of our war dead, but it was the longest Jo-Anne and I have ever been away from them. They did enjoy the time they spent with the grandparents and the weekday activities at the museum. 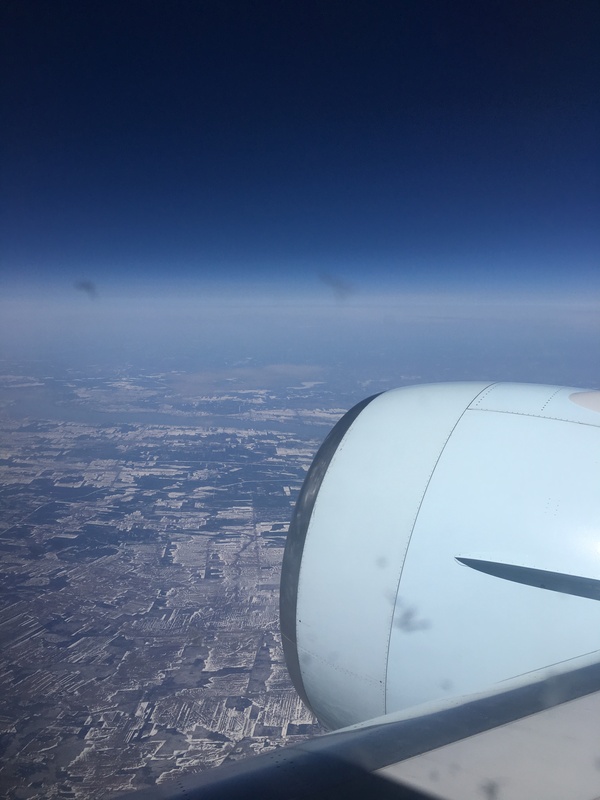 Maybe we missed them more than they missed us; I know it was particularly hard on Jo-Anne (things are always tougher for moms). It’s good to be back with them though (even with all the spats that siblings experience). I am hoping that we will have the opportunity to take them to Europe to visit all of these places when they are older. I guess this goes to the philosophy that I (and I assume all teachers) subscribe to; school isn’t always Monday to Friday, 8:00-3:00. 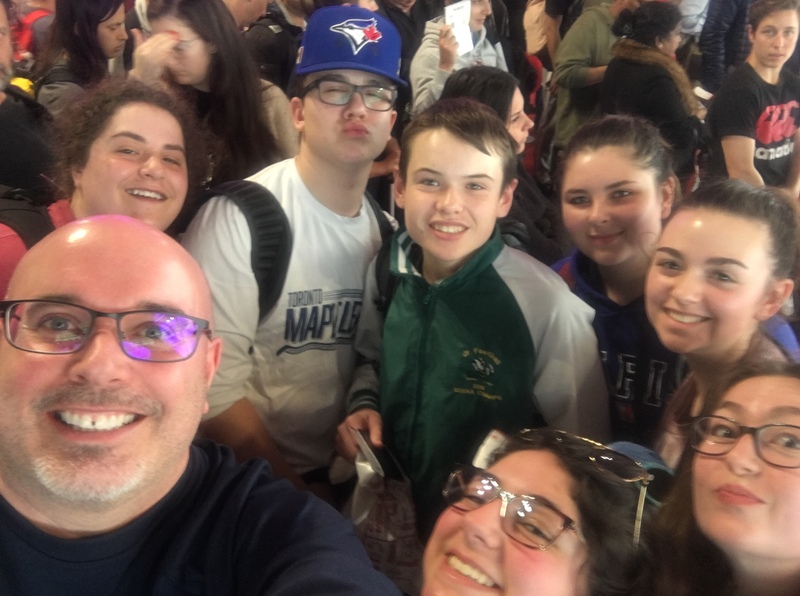 There is so much learning that happens outside the classroom, and we as teachers sometimes need to sacrifice a bit of our personal time/lives to make that happen. This is the essence of teaching. 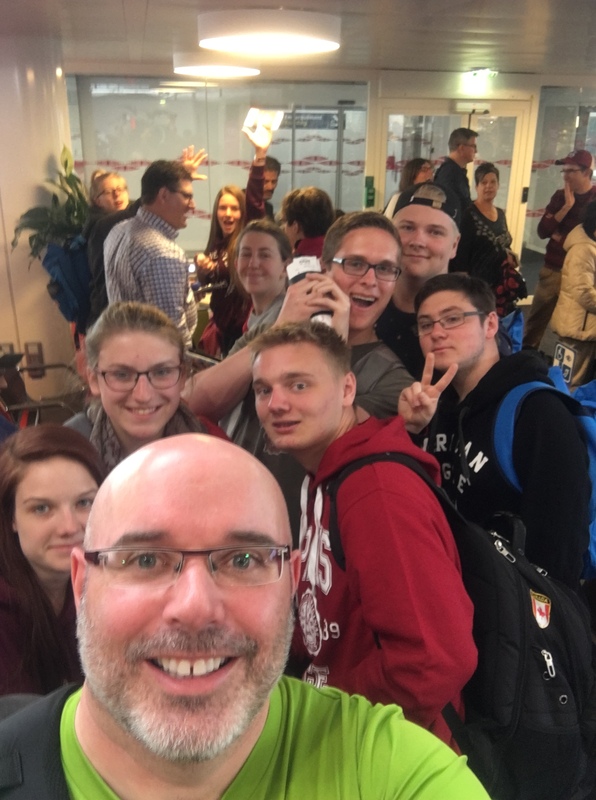 Most students will not remember what they learned in the classroom in 10 years, but they will remember the memories they made on the football field, on the stage or in Europe. That makes all the planning, effort and time worth it. So we’ve already started looking ahead to our next trip to Europe. 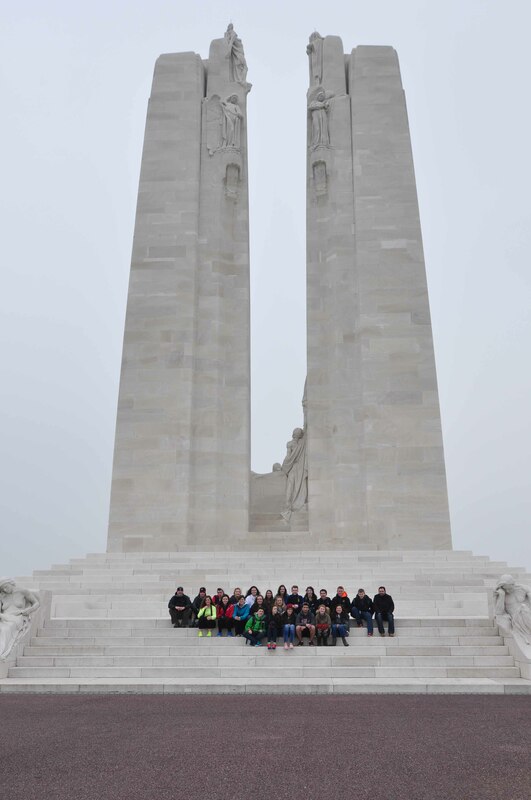 The 100th anniversary of the Battle of Vimy Ridge is coming up in 2017 and we’d really like to be there for it. I’m sure it will be a fantastic experience for everyone involved, and maybe it won’t pour rain like it did the last time. EF does an awesome job looking after things and the celebrations in 2012 were amazing to be part of. Hopefully we can make it work within the school year since it falls at a rather awkward time before Easter. Fingers crossed!